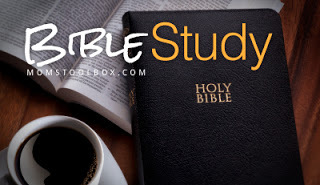 This post is part of a four week Bible study of the Book of Philippians. Each week I will be sharing my thoughts on one chapter and linking up with others who are also studying with me. This Bible study is hosted by Mom’s Toolbox. If you are also reading along, please share how these verses spoke to you as well. I will be using the SOAP method to write my thoughts about Philippians. To learn more about the SOAP method, click HERE. SOAP stand for Scripture, Observation, Application, and Prayer. The author of the Book of Philippians is Paul. He wrote this as a thank you letter to the Christians of Philippi while he was in prison. It was also a letter of encouragement to them for their faith. First of all, just the fact that Paul wrote this as an encouragement to his fellow Christians while he was in prison is a surprise. You would think he would be the one needing encouragement. But, instead Paul is more worried about them losing faith and all his work spreading God’s word to not continue to be shared. Chapter one is such a short chapter, only 30 verses, but those verses say so much. It was hard for me to focus on just one verse, but there was one that stood out to me and relates to my life right now. What stood out to me was discern what is best – what is right and what is wrong. Making choices that will make Jesus proud. This is something that I talk to our children about almost daily. I am constantly saying, “Make sure you are always kind.” “Be helpful.” “Do unto others as you would want them to do for you.” Am I giving myself the same lesson? Are MY choices making Jesus proud? I don’t expect our kids to be perfect. I know I am not. I know there are going to be some right and wrong choices in the future, but I pray there is more right ones. I don’t expect to be “blameless” but I know that I will be forgiven. I know that someone believes in me and knows that eventually I will get it right. I know there is someone cheering for me and wants me to make the right choices. And, I want to make sure our children know that too. There is one right choice they can make right now and that is to follow Him; striving each day to discern what is best and make Jesus proud. By continuing to discuss with the kids about situations they are facing and how to best handle them will be helpful in them choosing the best path to take. We are so grateful to have amazing children who are so loving and readily offer help to others. I humbly ask you to guide my husband and I as we raise our children to make the right choices in life. Helps us to weed out the bad stuff and replace it with the good. Don’t give up on us when we make the wrong choices, but continue to believe in us and show us that the only right way is on your path. Thank you for loving us unconditionally and providing us with your grace as we continue on. May our faith in you grow each time we are faced with a decision.